Just a quick background on my eating habits... I was a vegetarian for about a 1.5 years in college, and then transitioned into a “weekday” vegetarian, and now I’m a full on omnivore. However, I have strict standards for the meat that I eat and try to source as locally as possible and look for meat/ dairy/ seafood with high animal welfare standards. I wish I could say that I NEVER eat meat when eating at a restaurant if I don’t know where it comes from, but that will have to be something I strive towards. If I could summarize my eating philosophy in a nutshell, it would be Michael Pollan’s Food Rules . I have always been hesitant to try anything where meat is the reigning ingredient in every recipe (i.e. Paleo diet). But i’m open to trying a new eating program if it will make me feel/ look/perform better! I’m sure the majority of you have heard about the Whole 30 , but if you are not familiar with the program I will break it down briefly for you. The idea is to eliminate foods that are potentially harming your body, for 30 days, and see how (hopefully amazing) you feel. The foods to be eliminated over the 30 days are sugar, grains, dairy and legumes. That leaves us with meats, eggs, vegetables, fruit, good fats, nuts, and seeds. Basically, you’re eating only “whole foods” for 30 days. Nothing processed or unnatural. (Oh and no alcohol!) This is really a short term “reset” of your diet. 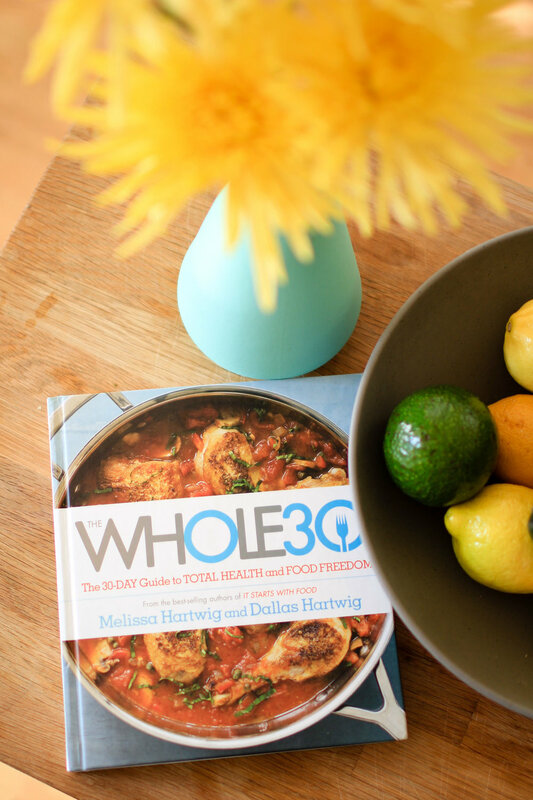 I have had many friends complete the Whole 30 with raving reviews, and have contemplated doing it for a while! My boyfriend Sam and I have always chickened out with endless excuses, and now we are finally taking the plunge. Being in the working world makes these types of resets hard because of client dinners, outings, and events, and the endless planning that is required, but when isn’t there an excuse? Stick with me as I breakdown the preparation for the Whole 30, and the progress of the 30 days. I know its going to be hard, but i’m excited to see how my body reacts!